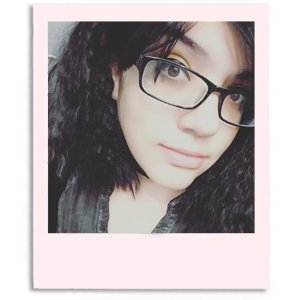 Hi guys, I'm here with another blog post this week. See so far so good in keeping my word with these blog posts. I know I shouldn't toot my own horn but... TOOT TOOT. I'm actually super excited to share this indie brand with you guys. 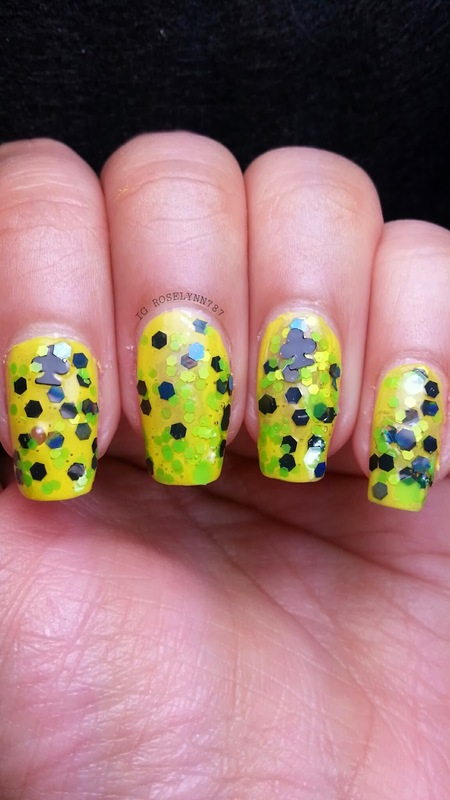 Cheyenne is a known swatcher and nail artist on Instagram who has decided to take the leap and venture into making her own indies, CDB Lacquer. As soon as I saw her post looking for swatchers for her indie brand, I jumped all over the opportunity. It is always such a huge risk starting your own business, so I just had to be first in line to offer support. Something that I wanted to be sure to mention is that CDB Lacquer is 5-free, I was super pumped about this (You can find out more about what her polishes contain here). Shop opens on February 1st, her indie line can be found at http://cdblacquer.storenvy.com/ and you can also follow her on instagram for release dates/stock info http://instagram.com/cdblacquer. 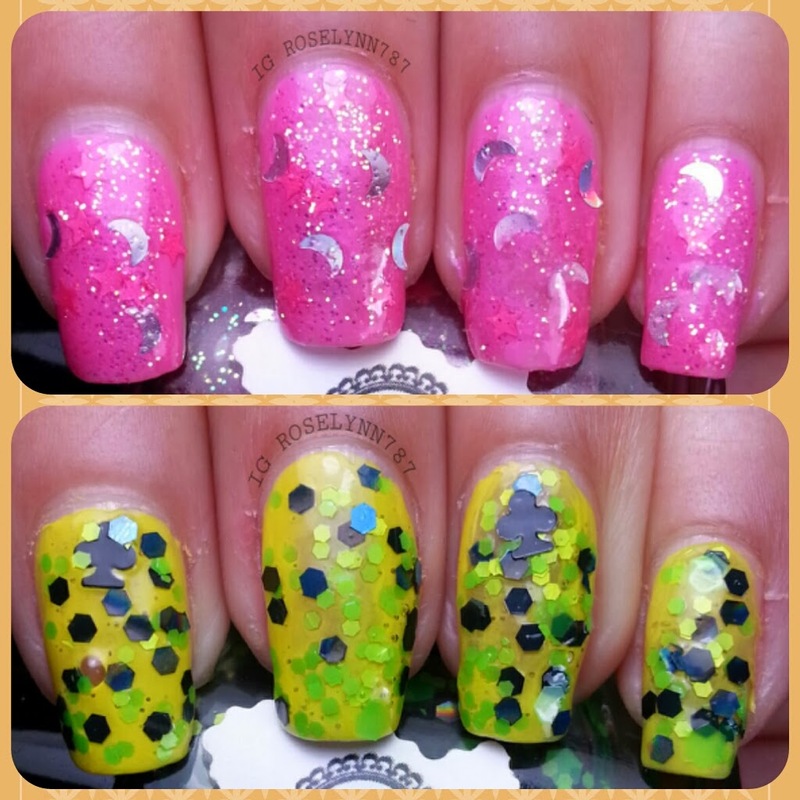 I will be covering two of her launch polishes in this post, so without further ado, bring on the pretties! 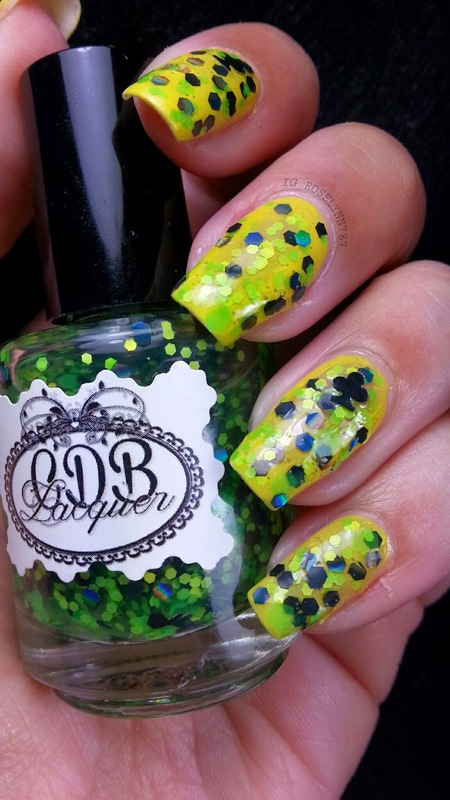 First up we have, Kiss a Fool, a clear glitter topper that is filled with lime green, black, and black clovers. Swatched over a yellow base called Sunny Days by Rimmel. 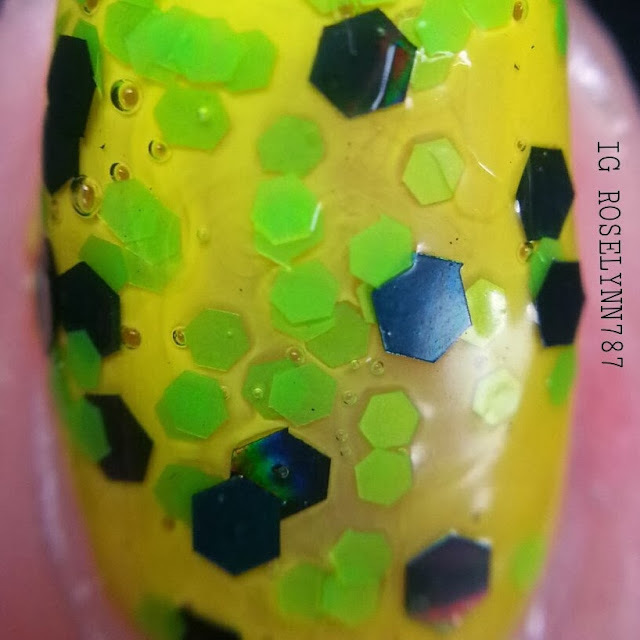 I think this polish would look great over a green base as well, but I have to say I love it over the yellow. Words can not begin to describe how much of a fan I am. Absolutely love the glitter combination. Perfect for St. Patrick's Day! 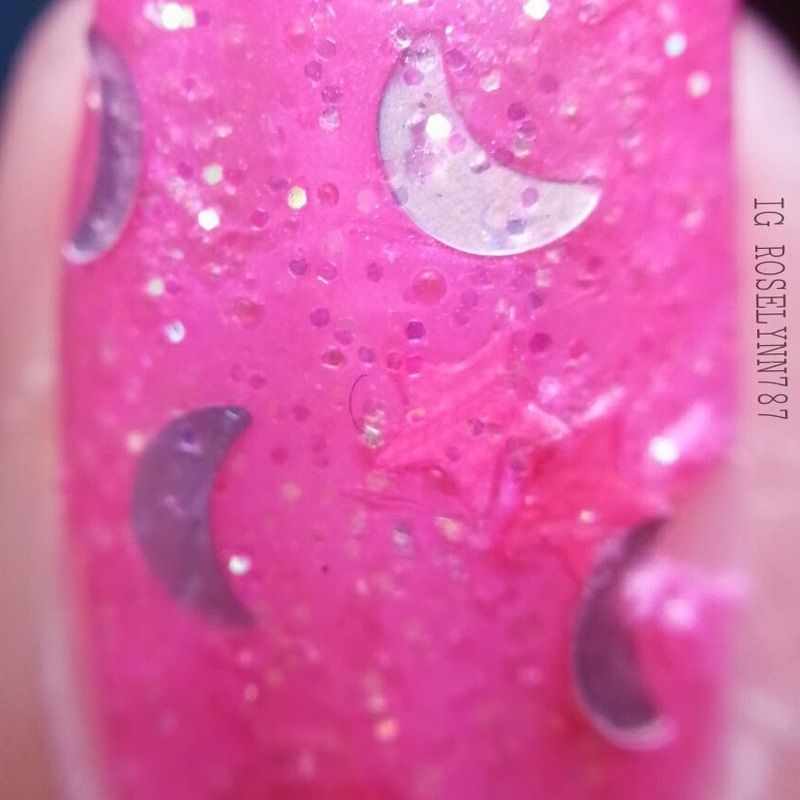 Like I mentioned, this is a glitter topper but unlike some toppers you must apply this one using the 'dabbing method'. If you don't know what that is then I suggest looking it up on YouTube before purchasing this polish. It might not be your cup-of-tea when it comes to applying a polish so be informed before you purchase it. That being said, it really is a straight forward method of applying polish so it shouldn't be a reason to discourage you from adding this to your collection. And next we have Starberry Moonshine, a pink shimmer polish filled with lustrous micro-glitters, pink stars, and silver moons. Swatched over a pink polish called It's Not Me, It's You by Orly. This polish is sheer in one/two coats. Even with multiple layers after that you'll find it hard to achieve full opacity if you do not use a base. I think a pink polish is the better color choice for a base. 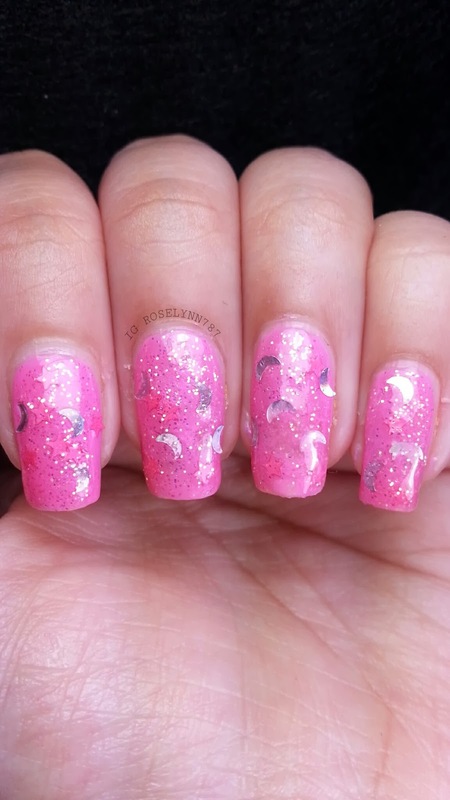 I absolutely love how girly and pretty this polish is. As soon as I saw the name I flipped cause it made me think of my all-time favorite anime Sailor Moon. I could totally see her rocking this as a kawaii mani. Overall I'm very impressed with these release polishes from CDB Lacquer and I think you will be too. Application is very smooth and gave me no trouble. These are heavy glitter polishes that require a good shaking before use. For my swatches, I put the bottles upside down for 30 minutes prior to use. Both require glitter placement, but you will not have a hard time with that since neither one of these will have you glitter fishing. Another thing I'd like to mention, the brushes on the bottles work very well and I didn't experience any trouble with them. That's another huge plus in my book. CDB Lacquer opens shop February 1st so mark it on your calendars. These polishes will actually be limited when released so don't miss out. For latest release date info follow Cheyenne on IG: http://instagram.com/cdblacquer.